Do you recall this scene? Alicia clashed with this bond court judge when she agreed to support a client's plea of innocence in a shoplifting case. Judge Schakowsky clearly cares more about his time served than anyone else’s! 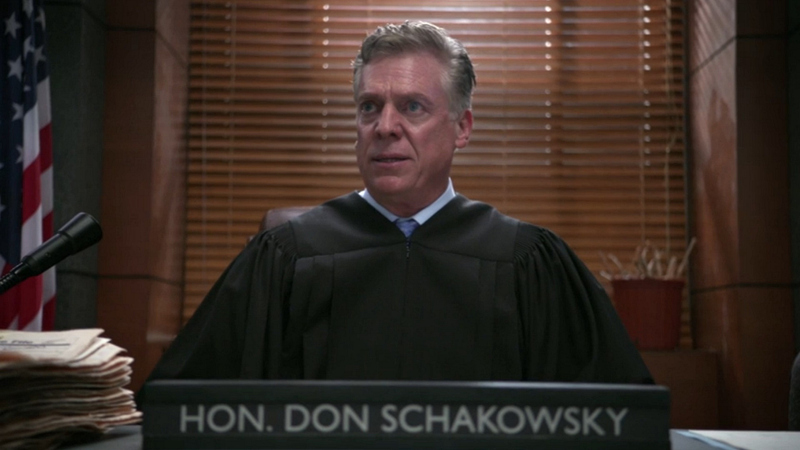 Judge Don Schakowsky: "Then do your damn job and sell it to her. Don’t you dare slow me down Mrs. Florrick!"